Our team takes customer satisfaction very seriously, That is why we have implemented a 30 day (No Charge) warranty on the majority of our products. Ensuring that our customers and clients are happy with their purchase and are free from workmanship defects is a big part of the reason we have been so successful at maintaining a 100% customer satisfaction rate. Please take some time to review our warranty information below and please be sure to contact us if you have any questions or concerns. Thank you for your interest in the products and services of Trade IT. This Limited Warranty applies to physical goods and only for physical goods that are purchased from Trade IT. This warranty can be changed at any time without notice and is provided out of good will for our customers who are purchasing refurnished or used products. During the Warranty Period, Trade IT will repair or replace, at no charge, products or parts of a product that proves defective because of improper material or workmanship, under normal use and maintenance. Trade IT will repair the Product at no charge, using new or refurbished replacement parts. The Warranty Period for Physical Goods purchased from Trade IT is 30 Days from the date of purchase. A replacement Physical Good or part assumes the remaining warranty of the original Physical Good or 30 Days from the date of replacement or repair, whichever is longer. Malfunctions or damage NOT resulting from defects in material or workmanship. This includes physical damage caused by miss-use, dropping, water exposure, heat exposure etc. Malfunctions or damage resulting from negligence, improper maintenance or modification- Damaged or destroyed by natural causes including but not limited to lightning, flood, or other natural disaster – Theft or loss of the Physical Goods. Item’s that have been purchased more than 30 days ago. How do you file a warranty claim? 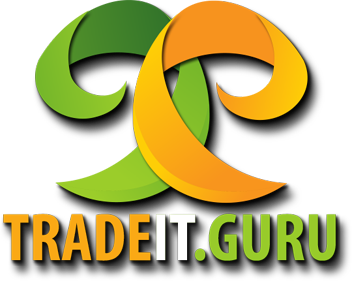 Deliver the Physical Goods, in either its original packaging, including any accessories or documents that shipped with the Physical Goods to the address specified by Trade IT. Provide a physical or digital copy of your purchase receipt. Provide a phone number or email address that was provided upon original purchase. All of our products are assigned a grade, this in turn will tell you a lot about the cosmetic condition of any particular product. To see what each assigned grade means simply click the tabs below for an explanation as to what each grade means. New Item that is missing its original box. 9/10 cosmetically, with very little to no signs of wear. Fully functioning product. 8/10 cosmetically, with little to no signs of wear. Fully functioning product. 7/10 cosmetically in good condition with some signs of wear and usage. Will still be fully functioning. 6/10 Cosmetic rating. Product will likely have Obvious signs of wear and use but will still be fully functional. This product is sold “as is” for parts, or for repair with no implied warranties and no returns.